for $1,098,000 with 4 bedrooms and 2 full baths, 1 half bath. This 1,224 square foot home was built in 1945. 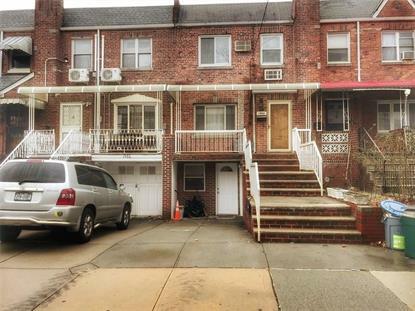 Beautiful 3 stories brick home in convenient Bensonhurst location with a driveway. Short distance to shopping and transportation.3rd Fl has 3 bedrooms and full bath. 2nd Fl has upgraded kitchen cabinets, 1/2 bath, living room, dining room with yard access and hardwood floors throughout.1st Fl has bedroom, family room, full bath and additional kitchen.Basement has storage area and washer/dryer.